South Koreas focus is on getting people out of their cars and onto bikes. Part of the so-called Green Growth Policy it is also the governments plan to get South Koreas bicycle industry back on track. 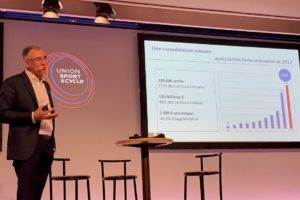 So, whats the Korean market and bike sector all about? SEOUL, South Korea – South Korea’s focus is on getting people out of their cars and onto bikes. Part of the so-called “Green Growth Policy” it is also the government’s plan to get South Korea’s bicycle industry back on track. So, what’s the Korean market and bike sector all about? At the height of the financial crisis in 2009 even the prospering South Korean bicycle market was experiencing decreases. While no figures on the nation’s home production are available, the detailed import and export statistics of the Korean Customs Service (KCS) show that from 2004 to 2008 bicycle imports increased. This number dropped for the first time in 2009. According to the KCS stats with 6.1%, to a total of 1.82 million units. The largest piece of the import pie came from China (see chart 2). Nevertheless, in 2009 bicycle imports from China to South Korea dropped 6.6%, to a total of 1.72 million units. In other words: 94.5% of all 2009 bicycle imports into South Korea were from China. The largest import drop was out of USA (-80%), while the largest import increases came from neighboring Japan (+40%) and ‘others’ (+20%). The sharp drop in American bicycle imports between 2008 and 2009 can’t be explained due to decreasing US bicycle production only. It seems that many US brands are going directly from the production nations, such as Taiwan and China, to South Korea. The double-digit import growth from Japan can be explained with the rising number of high-end up to 20 inch wheels mini-bikes, as well as a higher demand by South Korean consumers for the classic randonneur. Nevertheless, all these numbers are – compared with the above mentioned import total for China – very small. Totally different to the South Korean bicycle import development is that of bicycle exports. According to the KCS stats, bicycle exports in 2009 upped a big 167.1%. However, total export is only small in volume at 25,280 units (see chart). Unfortunately there is no specific data available on the current South Korean overall bicycle production. In the coming years production is expected to increase. This is due to the government’s financial support of the national bicycle industry; part of their in 2009 announced “Green Growth Policy”. One of the largest South Korean bicycle producers still in existence is Samchuly. That company is working hard on a home country production revival. Smaller newcomers such as Young Yoo Precision – maker of the high-end parts brands FIERCE – or Spija and its carbon brand Aviiav (founded by James Kim and once involved for four years at a Korean-Taiwanese carbon wheel joint venture in Taiwan) are pushing Made in Korea production with the help of governmental institutions. They try hard to fill the huge gap between their home country production and Taiwan’s bike industry. That this will be a huge task is illustrated by Korea’s bicycle export destinations (see chart 3). There is not one country named there that’s known to have significant demand for high-end premium bicycle products. It’s doubtful that South Korea will be able to fill the gap between the current leading high-end production nations such as Taiwan within the time frame president Myung-bak Lee has in mind in his “Green Growth Policy”. More on this policy is in the box article on this page. 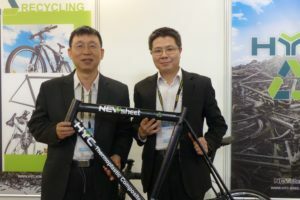 It doesn’t matter how much high-technology know-how is lagging – it’s a big challenge for the South Korean bicycle industry after counting on imports for such a long time. 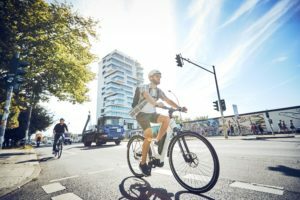 Some even question if South Korea will be able to develop a premium bicycle brand that’s competitive on the world market in such a short time, which is exactly what the government has asked its institutions to work on and help make happen. Therefore, it seems to be easy right now for the national bike industry to get financial support from the government. 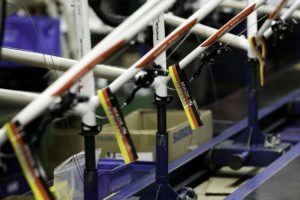 But whether the country’s advanced high-tech knowhow and the government’s financial support is enough for the Sourth Korean bike industry to be soon competing with the world’s leading bike production nations, is another question. Nevertheless, the increased bicycle infrastructure ambitions by the national government will for sure get more and more South Koreans on a bicycle. Moreover South Koreans are willing to spend more money in health and fitness pastimes, as well as any leisure time activities. And, they believe in premium branded products. Currently premium bike brands are all imported to South Korea. 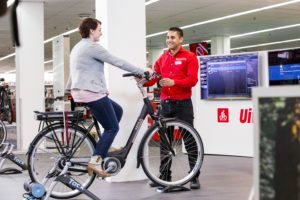 These international brands are the ones that will benefit mainly from the national pro-cycling activities.